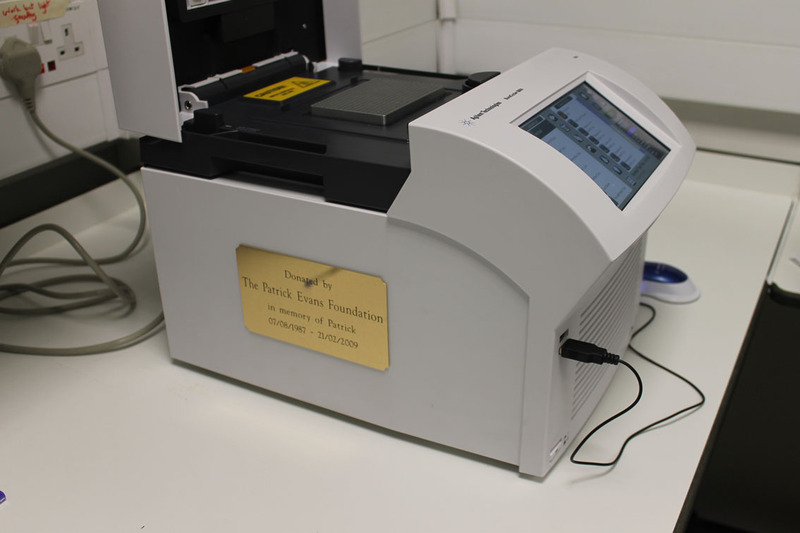 Following the success of our fundraising in 2011, the Foundation was able to support cancer research at the Royal Marsden Hospital with the purchase of a new machine. Members of the Foundation visited the Institute of Cancer Research at The Royal Marsden Hospital in January to see the ‘SureCycler’ machine which we have donated in Patrick’s name to improve research into prostate cancer. 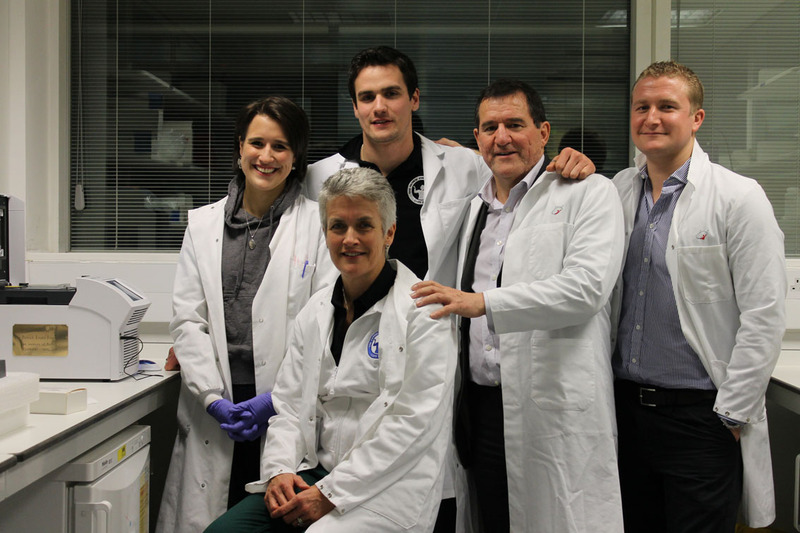 Patrick’s Dad, Alun Evans, developed prostate cancer in 2002 making it is a very significant disease for his family, and Patrick was always keen to support prostate cancer research. We are so proud that as we celebrate our charity’s second birthday, we have used our funds to buy a machine which will help identify those men who are at increased risk of developing aggressive prostate cancer. On our visit to the Institute, we met Professor Ros Eeles, whose research into prostate cancer will benefit significantly from our donation. The SureCycler will enable analysis of DNA samples rapidly, so less time and samples are wasted and research is able to move forward quicker. Our machine will be specifically used in the study of the length of the ends of chromosomes in our DNA, which are thought to shorten as cancer develops. By studying these changes in the chromosomes and their link to prostate cancer, Professor Eeles' team are hoping to identify individuals at increased risk of aggressive prostate cancer much earlier. By identifying the individuals at risk early, this leads to improved screening and treatments. 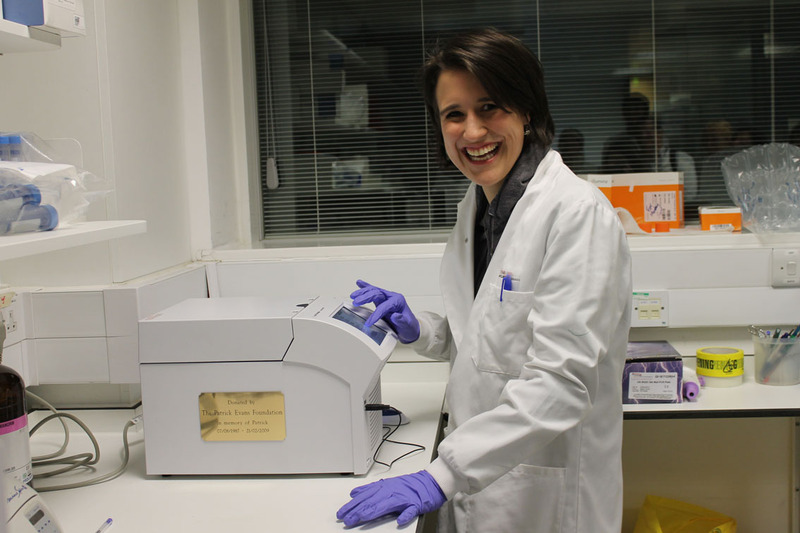 Wearing labcoats and under strict instructions not to touch anything, we saw our machine (and shiny plaque!) in it’s new home in the lab. Despite the deceptively small size, we were impressed by the powerful nature of the machine, not to mention it’s very modern touchscreen! They even trusted Patrick's sister Louise to practice using the machine. (We assure you no actual DNA samples were used, harmed, or wasted during this experience! ).